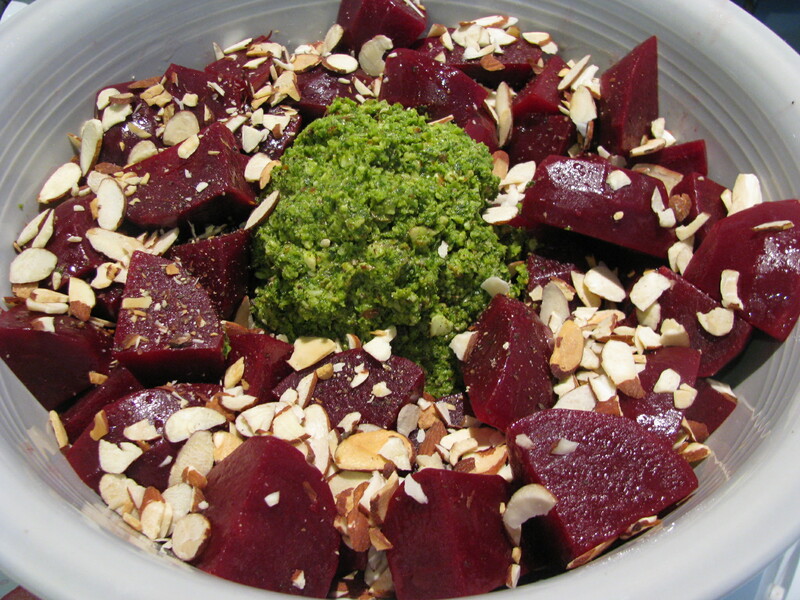 Pulse the ingredients in the food processor until you have your desired consistency. You could also use cloves of garlic instead of scapes. We originally made it to go with steak and it’s brightness and refreshing tang was a good compliment to an otherwise rich meal. Left overs have been reincarnated variously with the beet salad above (a homage to the skordalia and beet salad at Rigsby’s) and as an addition a yoghurt based dip. 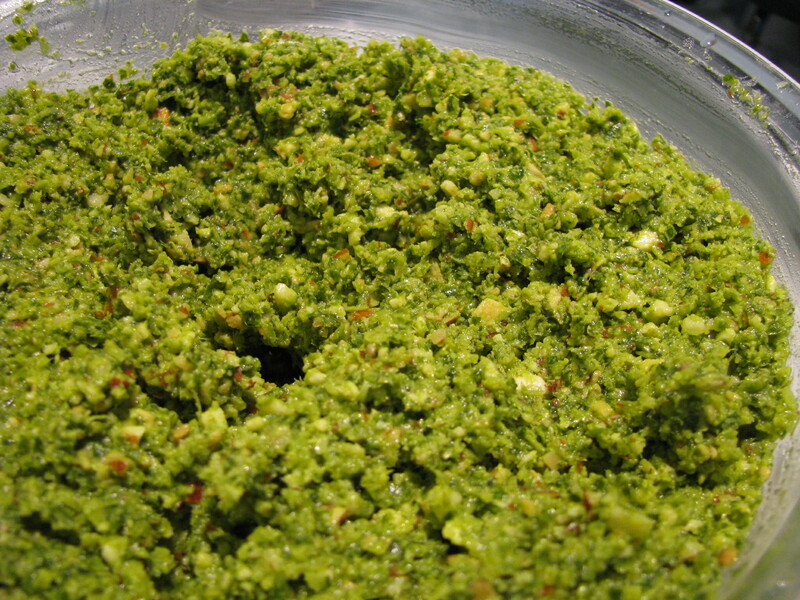 It would also be good with grilled lamb or chicken, or tossed with pasta. Nigel Slater had some wonderful garden recipes in his column last weekend, including a basil sauce for lamb, and I am intrigued by the basil cookies. This recipe looks absolutely delicious. I just love reading about your food experiences. It is so refreshing. Hope all is well. I recognize this. I recall it was quite good.